BenQ today announced their new flagship, professional-grade home theater 1080p Full HD projector, the HT6050. This $3800 DLP cinema projector claims to deliver true digital cinema-grade image and color reproduction. It features Rec. 709 color to reproduce the color palette exactly as the movie studios intended, dynamic iris to produce phenomenal contrast levels, state-of-the-art TIR light engine for exceptional brightness uniformity, BenQ’s exclusive CinemaMaster suite of image enhancing features and a choice of 5 optional all-glass, precision-crafted lenses. Rec. 709 is the international HDTV standard that guarantees the accurate reproduction of HD cinematic color as the director intended. With a 6X speed RGBRGB color wheel, the HT6050 is calibrated for cinematic quality to deliver refined colors that are the truest possible reproduction of the original video palette. Generating industry-leading levels of contrast ratio performance, the HT6050 produces deep, true blacks and its high native contrast clearly resolves subtle layers and fine details in dark scenes for a truly awe-inspiring visual experience. 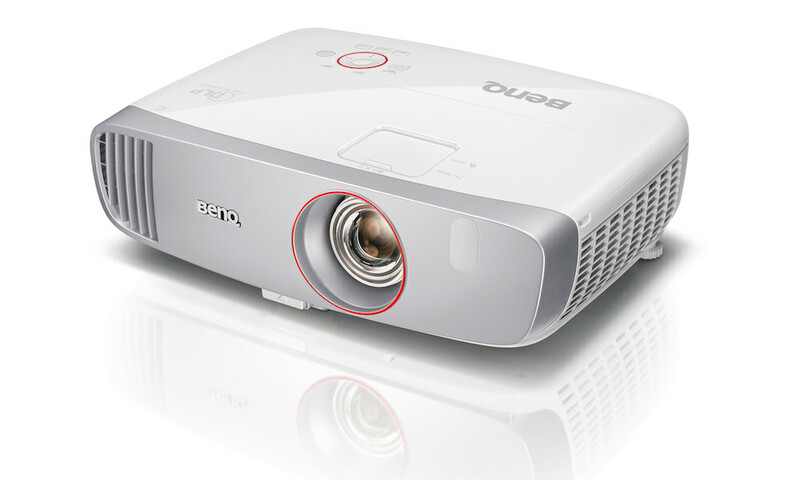 Furthermore, BenQ has taken extreme measures to guard against stray light leakage from the light tunnel affecting contrast and obscuring fine details with a special black paint that seals the projector’s light engine to boost contrast and render all dark scene details superbly. Featuring class-leading high fill factor, the HT6050 shines more light into each pixel, improving definition for small text and fine details, while eliminating the “screen door effect” for stunning image realism. 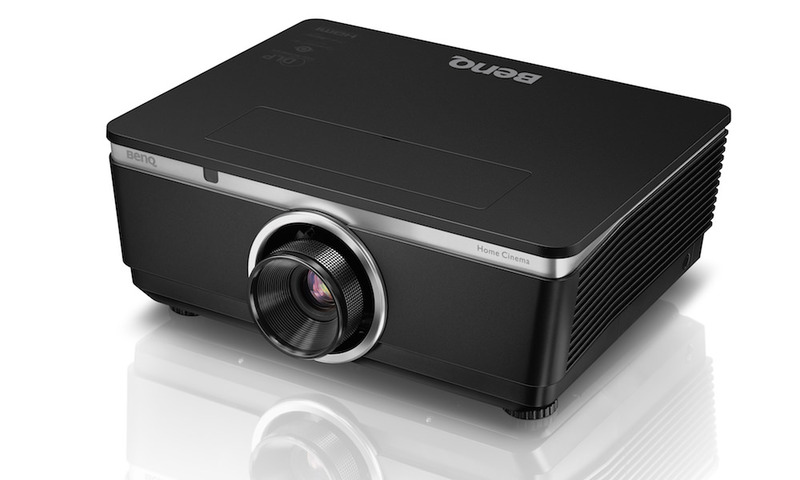 Along with HD cinematic color quality, the HT6050 uses BenQ’s exclusive CinemaMaster advanced audio and video processing suite to enhance video content with smoother motion, more true-to-life color saturation, sharper pixel detail and improved flesh tones. 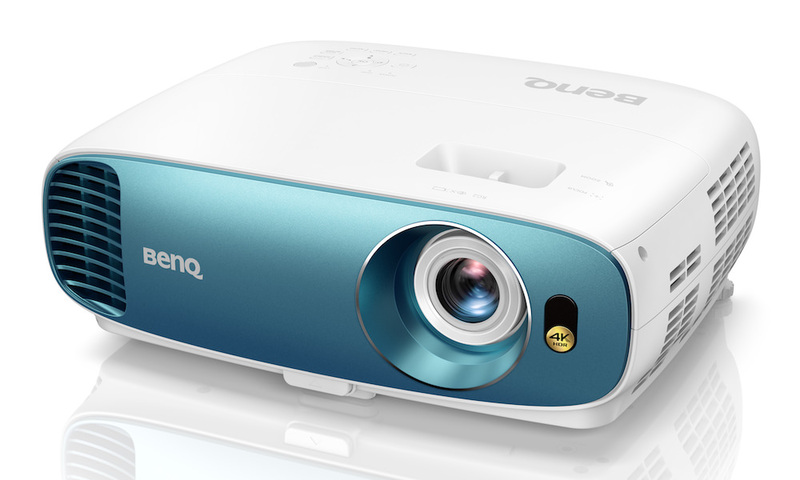 It boasts stunning 1080p resolution with 2,000 ANSI lumens and a 5000:1 contrast ratio. It’s equipped with five optional big zoom lenses from 0.77:1 to 5:1 with -20~60% vertical and ± 5% horizontal lens-shifting. Along with its flexible placement design, integrators have more image-adjustment settings for faster setup. Featuring a newly designed cooling system, the HT6050 delivers whisper-quiet operation without distracting fan noise interrupting the viewer’s movie-going experience. Its dual HDMI connectivity (HDMIx1, HDMI/MHLx1) means one cable can stream video and audio to the HT6050 without multiple wires cluttering the space. Customers also have even more content options. With a simple MHL cable or dongle, customers can directly stream full HD content from any MHL-enabled smartphone or tablet to the big screen. Its auto power on/off with HDMI-CEC option helps customers save power by allowing them to turn off a Blu-ray player through the HT6050 remote. The HT6050 is ISFccc-certified by the Imaging Science Foundation (ISF), enabling viewers to enjoy a professionally calibrated picture with two optimized modes — ISF Day and ISF Night. 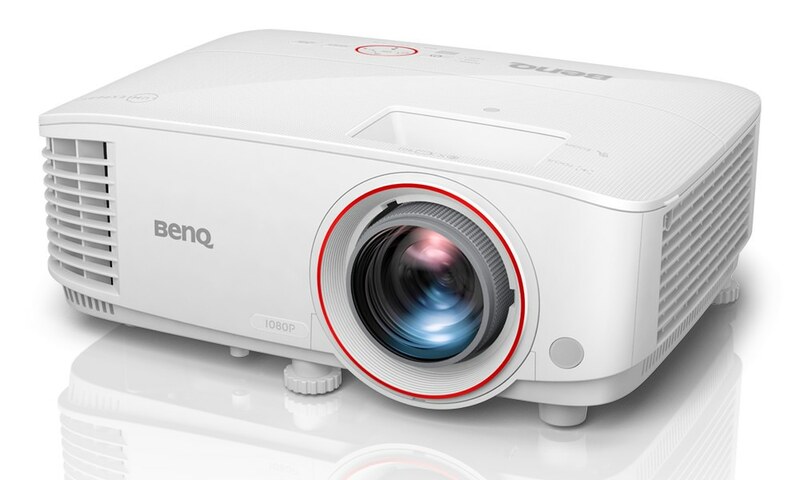 The projector also features BenQ’s renowned SmartEco energy-saving technology to automatically adjust lamp brightness based on content to project richer blacks and increase contrast for tiny text and subtle details. The HT6050’s full HD 1080p optical system uses only the highest-grade glass for superior light penetration and realistic image quality. Proprietary low-dispersion lens coatings minimize chromatic aberration, so viewers can enjoy their favorite HD content in brilliant clarity. 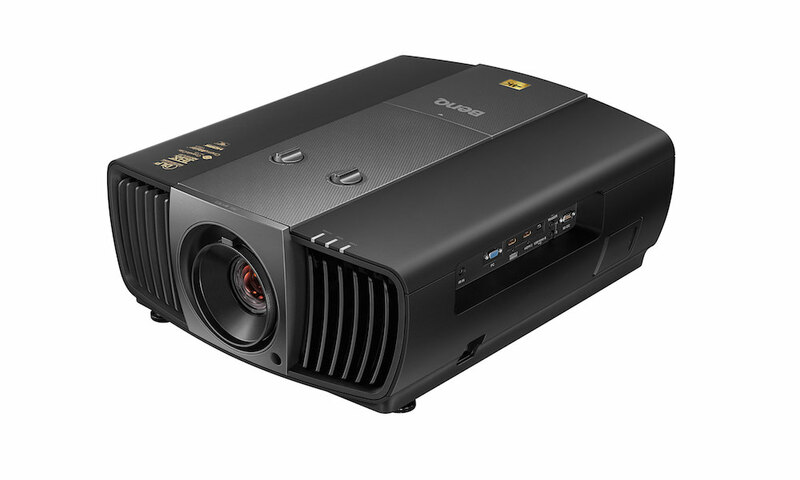 “The new HT6050 projector uses the latest DLP DarkChip3 technology and a unique color wheel design to deliver HD cinematic color right out of the box,” said J.Y. Hu, vice president at BenQ America Corp. 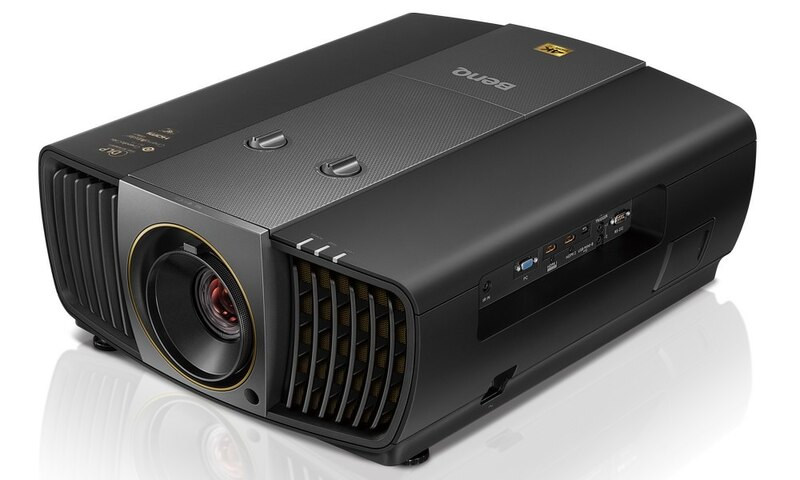 The BenQ HT6050 home theater projector is now available via BenQ Integrators’ Choice distribution partners and retails for $3,799.